Where can I buy your books? The No.1 consumer selling image editing software goes from strength to strength and Photoshop Elements 10 in easy steps covers its impressively enhanced range of tools and functions to edit, display and share images in some truly stunning and original ways. This book covers all of the standard image editing techniques and also looks at the new features of Elements 10, such as improved special effects and a new range of Guided Edits to make producing stunning images even easier. It also shows how text can be used to flow along any chosen path, to give your images that extra wow factor. Elements 10 also fully embraces social networking and the book shows how to get the most out of your images on Facebook and YouTube. Photoshop Elements 10 in easy steps demonstrates both the fun and the functionality of image editing, that puts Elements 10 into a league of its own. This book covers versions for both PC and Mac users, making Elements 10 the perfect image editing program for any photography enthusiast. Nick Vandome is an IT writer and trainer who specialises in digital imaging and web authoring subjects. In addition to his writing, he also works designing websites and runs training courses. Before he started working with computers he wrote books about working and travelling abroad. "Although I have been using digital cameras for over a decade now I have been much slower to embrace post shoot processing with Photoshop Elements. Where I have wanted to lighten a shot etc. I've relied on the programme that the manufacturer bundled with the camera. I loaded up Photoshop Elements 10 having bought this book and am delighted by it in every aspect. The layout is excellent and the steps are progressive. After having introduced you to the software and helping you organise your images the book then takes you through "first digital steps", "quick wins"; "beyond basics" and on to things like "selecting areas"; "layers"; "text and drawing tools"; "artistic effects" on to "sharing and creating" and "printing". The way in which in the book manages you through this progression is very effective. There are clear instructions and illustrations on every page, plus, on the side of most pages there are small "don't forget" panels, plus, where appropriate, "hot tips". The sequence of the book is entirely logical and it is easy to locate something you want to go back to thanks to the clear, spacious layout and comprehensive index. I am really enjoying developing my confidence (and hopefully competence!) using this book by Nick Vandome. The book which covers both the Windows and Mac versions of Photoshop Elements 10, is printed in full colour and runs to just under 200 pages. What is also significant is that it is one of the cheapest books on Photoshop Elements 10 by a margin - however, this is one of those all too rare occasions where cheapest does not mean second best by any means. 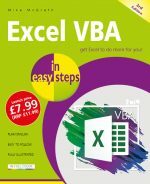 Recommended for beginners and intermediate users alike." "This book on Photoshop Elements 10 has helped me get into the more advanced functions like layers. 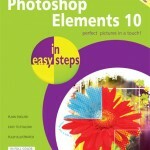 I have always found these a mystery in Photoshop but this book has helped me understand and master them in Elements 10. I now use this software for all my day to day work and have hardly used Photoshop since getting it as it can do all I want. This book has really opended up the creative side of photography for me and is a great companion to the software. The author has worked hard to make learning Elements 10 easy and fun and all the work throughs are very helpful. 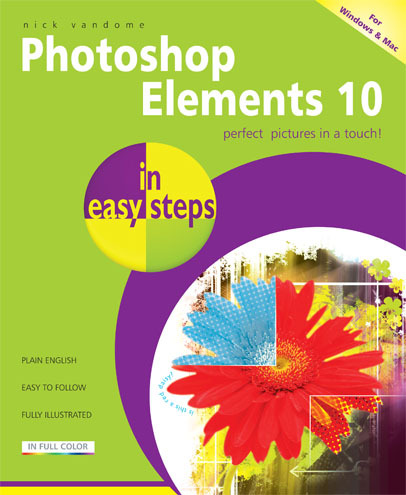 I used to only use the simple tools in photo editing software but Elements 10 and this book have helped me go much deeper into the software without having a huge learning curve to follow. The book acts as a course or a dip into book to find out how to do something. Some people may find this book simplistic but it has opened doors for me which I never thought I would find myself going through. I know now haw to manipulate RAW files, do layers, cutouts and of course sort my pictures out into some sort of order using the filing system which comes with Elements 10. A great book for those who want to go beyond the basics but have not got the time or inclination to read for hours about how to achieve different effects etc. 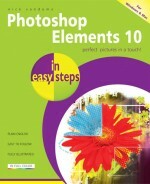 This book makes a great instruction book for Elements 10 and I am glad I have it by me when editing my pictures." Learn Photoshop Elements basics for free!